An exciting play about the Focus E15 campaign has been developed by FYSA theatre company. The play is simply called ‘E15’ and it is showing at the Pleasance Theatre in Islington from 15-18 December. The cast and crew of FYSA theatre company spent lots of time with the campaign on the street stall last summer just before the play went up to the Edinburgh Festival. We caught up with Matthew Woodhead, the Artistic Director of FYSA theatre to ask him a few question about the play. 1. What drew you to tell the story of Focus E15 campaign? Have you or the cast ever had problems with housing? The housing crisis is an epidemic that runs throughout England. Having grown up in Sheffield and in the shadow of the recently boarded up Park Hill Estate, the story of families being evicted from their homes to make room for private luxury accommodation is all too common. From Stratford to Sheffield, the story is the same. 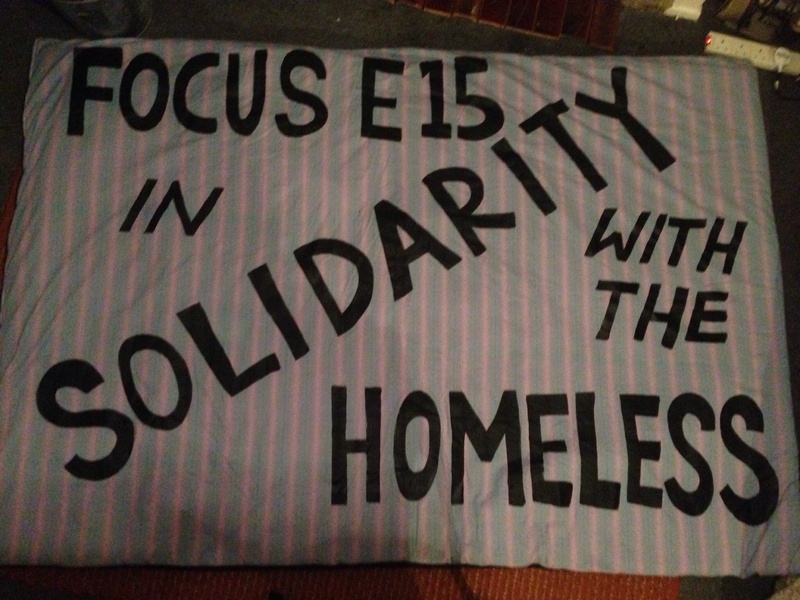 The Focus E15 campaign is something that has struck a chord with people who face housing problems across the country. I remember when I first started speaking to people at Park Hill Estate, they all had heard about the mum’s story. In some cases, it had even motivated people to make a stand. I was really interested and I went to Stratford to suss it out a little bit more, I was overwhelmed by the kindness and support of everyone at the Saturday Street Stall and I wanted to stay. The story of the Focus E15 campaign is something that resonates with everyone. The struggle embodies a much wider problem that runs throughout our society but the strength and solidarity of everyone in the campaign is an inspiration to others. The story shows that people can make a difference and that you can enforce change. The hope is that we can export what you’ve got going on in Stratford back to some parts of Sheffield. 2. Both this play and your previous play are based on testimonies of living people – why are you drawn to verbatim theatre in particular? Verbatim theatre is something I have always been interested in because it feels so much more real than any other form of drama. In a world that feels increasingly dominated by the voice of a particular status and class, this form of theatre actually provides us with the opportunity to hear different stories from a diverse range of people. Also, what is the point in me sitting down and writing something when there is a whole campaign of people standing on the street who can say it better? 3. What are the difficulties in portraying politically motivated characters? For example, political characters can be dismissed as being ‘naive’. How do you get round this? I think in some ways, every character is politically motivated. This is especially true of ‘E15’. For us, the real challenge (and something we’re still working on) is trying to tune into the personal story behind a person’s politics. By getting under the skin of someone’s individual situation, we hope to represent everyone respectfully and truthfully. I think if you kind of hold this up as your mantra, you get closer to expressing the reality of a person’s situation – therefore creating more rounded and balanced characters. I completely agree though, it’s a big challenge! 4. What was the reaction of people who saw the play at the Edinburgh fringe this year? We were absolutely bowled over by the reaction from everyone in Edinburgh. It was incredibly moving for everyone from the campaign to come up to see the show. We can’t wait for the run at the Pleasance to smash it all over again! 5. Are you interested in political theatre as a genre and what other plays, of any genre, have inspired you to become a director? It is impossible to not be a political director and writer at this moment in time. We are facing a country that is being ruled by a government that is arguably more right wing than anything we have seen in a long time. With the disintegration of any left alternative in mainstream politics, there has never been a more important time for anyone to campaign and look for alternatives. If making political theatre can continue to play any small role in that – I’ll keep on making it. 6. What are your plans for the forthcoming year? We are absolutely thrilled that ‘E15’ is going for a residency at Battersea Arts Centre from the 18th-31st of January. We are also going onto Camden People’s Theatre on the 23rd and 24th of January for ‘Whose London is it Anyway’? So there are plenty more opportunities to see the play then. We are also very excited that he show is then going to be developed for a run at Battersea Arts Centre in autumn 2016, before it heads out on a national tour! Thank you Matt. Good luck with this production. The play ‘E15’ is at the Pleasance Theatre in Islington from 15-18 December. Book your tickets today! Stand in solidarity with Bianca on Monday 12 October. Bianca is being evicted. The baliffs are coming. She wants to be rehoused in her local community near to her support networks. Either meet at her flat at from 8.30am or at the housing office in Illford at 9.30am. Please be aware that the press will be there -bring your banners and your voices! Bianca’s flat address is : 304, Chadwell Heath High Rd, Romford, RM6 6 AG. Meet there at 8.30am. Nearest station to Bianca’s flat is Chadwell Heath Station, or 86 bus. From her flat we will be organising free cabs to take people to the housing office when Bianca has her housing meeting at 9.30am. 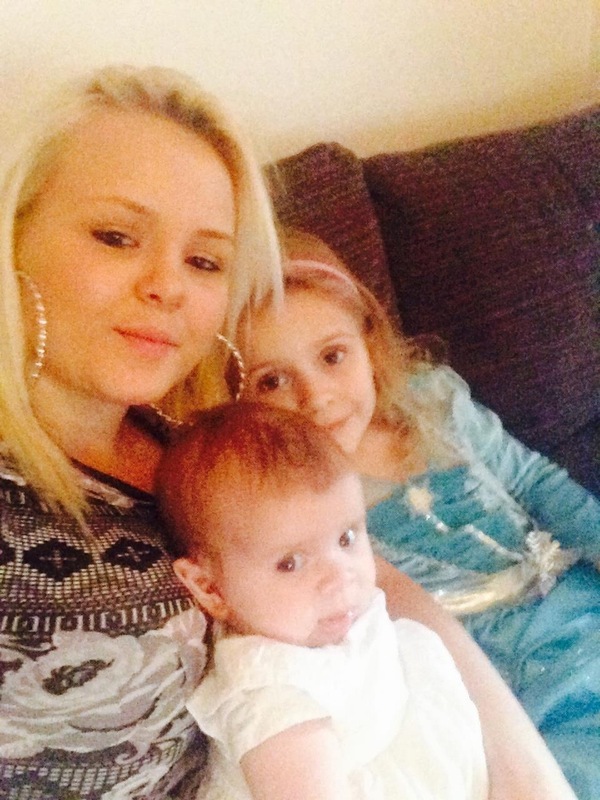 We urge Redbridge council to look carefully at the needs of this young family who have a child with hypermobility needs. They want to move forward with their lives in a positive way. Bianca’s child needs to remain in her school where she has completed her reception year and made friends. Remember the council must exhaust all local possibilites first before they rehouse Bianca out of the borough. Bianca and her children need somewhere to live near to her child’s school. URGENT ACTION: No to homelessness! Tell Redbridge council to house the vulnerable. On our street stall on Saturday 6 June 2015 we were approached by a young man of 22 years old called Azam. His story below illustrates just one of many who are now homeless. He is asking for support at his housing meeting in Ilford on Monday 8th June at 2.30pm, at the Housing Office, 28-42 Clements Rd, Ilford IG1 1BA. Please come and tell Redbridge council that no one should be left without a home. “My family disowned me and threw me out of my family home when I was 17. I had mental health issues and was seen by a psychiatric team. A social worker helped me to get a room in a hotel. I stayed there for 4 months. I then moved into supported housing due to mental health issues but the housing was difficult due to the mix of people there. I had a diagnosis of bi polar at the time. An incident occurred and a fight broke out and I was imprisoned. I lost my supported housing at Genesis because I was put in prison for 3 months.I had no support from the prison services to get rehoused when they let me out. I came out of prison in March 20th 2015 and I have been homeless ever since. It is scary not having a secure home. I felt suicidal and did not know what I was going to do. I have been trying to get into hostels but nothing ever works out. I think the housing situation is making me unwell. I would like a room of my own that is safe and secure and not too expensive. I use to work and want to find a job. My hopes for the future including getting a job as a graphic designer but I can only do this in I have somewhere to live. 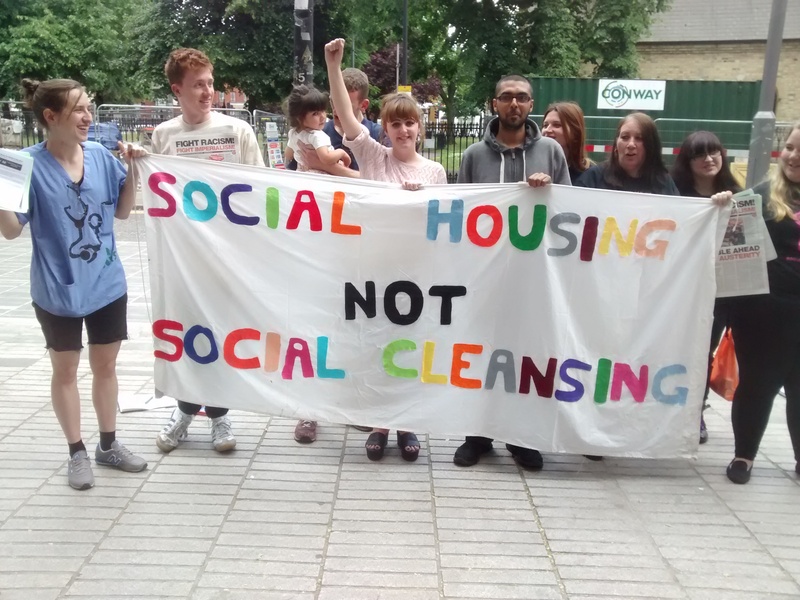 Please support Azam at his housing meeting on Monday 8th June at 2.30pm, at the Housing Office, 28-42 Clements Rd, Ilford IG1 1BA. Bring your banners and tell Redbridge council that homelessness is not acceptable! 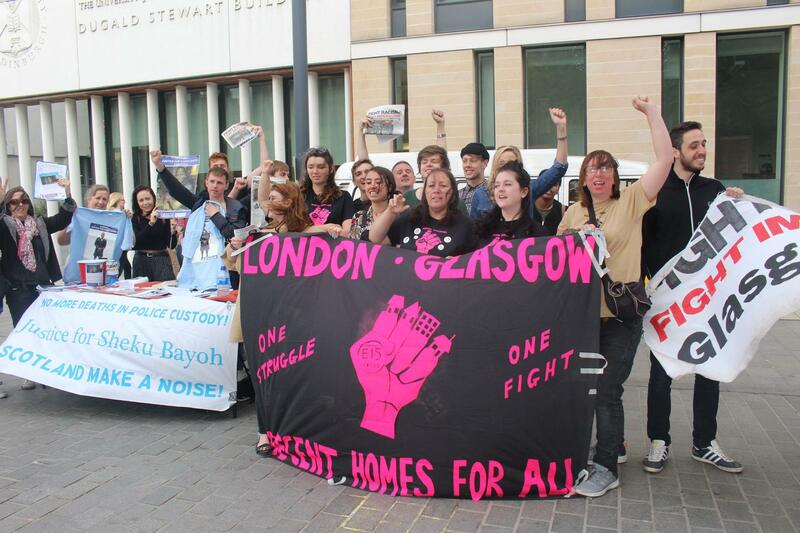 Azam pictured in the center of the picture supporting our demands for social housing for all!